Today, Shigeto stands for Zach’s vividly beautiful electronic music. Beat-driven but given to richly textured sound design, rhythmically fractured but melodically sumptuous, Shigeto’s music is a bridge between the past and present, bringing the artist face to face with a creative legacy that spans decades. Artists take on pseudonyms for a multitude of reasons, but in Zach Saginaw’s case, those reasons run deeper than most. Zach records under the name Shigeto. It’s his middle name; it’s also his grandfather’s name, a tribute to the Japanese branch of Zach’s family tree. Shigeto also means “to grow bigger”—appropriate, given Zach’s premature birth-weight of less than a pound. Today, Shigeto stands for Zach’s vividly beautiful electronic music. 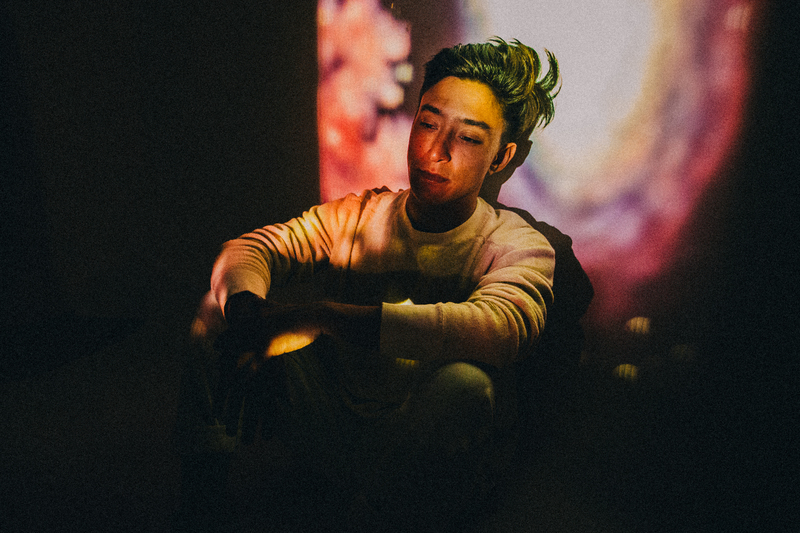 Beat-driven but given to richly textured sound design, rhythmically fractured but melodically sumptuous, Shigeto’s music is a bridge between the past and present, bringing the artist face to face with a creative legacy that spans decades. Zach was brought up on a steady diet of Michigan-bred music, as his father spoon-fed him old Motown and jazz records by the crateload. Zach picked up the drums at an early age, spending much of his childhood playing in the Detroit/Ann Arbor music scene. After nearly flunking out of high school—save for his music studies—Zach spent three years studying jazz at the New School in NYC and three more in London, where he began woodshedding, obsessed with learning electronic production. Soon enough, beats materialized, Zach moved to Brooklyn and took up the name Shigeto, and Zach’s peers began to take notice. Zach’s body of work has grown over the last few years to the tune of several EPs on Moodgadget as Shigeto and with A Setting Sun, a pair of EPs under the alias Frank Omura (another family-name reference), and remixes for Worst Friends, Praveen & Benoit, Tycho, Mux Mool, Charles Trees, A Setting Sun, Beautiful Bells, Shlohmo, and more. The Semi-Circle EP and What We Held Onto EP were his first releases with Ghostly International in the spring of 2010. These were followed quickly by the well-received full-length Full Circle and Full Circle Remixes in late 2010 and early 2011 respectively. These releases are nominally indebted to instrumental hip-hop but, like Zach, straddling many worlds at once. Cool shades of ambient music, stuttering early IDM, dubstep sub-bass, and jazz melodicism color Shigeto’s palette, which he wields with a painterly attention to detail. Zach continues to be prolific with the upcoming 2012 release, Lineage—a mini-LP of sorts that has a complex constellation of sounds and ideas that we have come to expect from the producer/drummer. However, his compositional focus and restraint grounds songs that are otherwise cosmically inclined. Never has he demonstrated such complete command of his material. Shigeto was one of the first of a wave of young artists who grew up influenced by the label’s early output. And again, names come into play. “Putting out these records on Ghostly isn’t just ‘getting signed,’ for me,” says Zach, “it’s becoming part of a family, an influence that I’ve respected forever.” Let’s just say the feeling’s mutual.